The Workshop for Civic Initiatives Foundation, in Bulgaria, describes Social Responsibility in it’s mission statement as: “The individual social responsibility includes the engagement of each person towards the community where he lives, which can be expressed as an interest towards what’s happening in the community, as well as in the active participation in the solving of some of the local problems. Under community we understand the village, the small town or the residential complex in the big city, where lives every one of us. Each community lives its own life that undergoes a process of development all the time. And everyone of us could take part in that development in different ways, for example by taking part in cleaning of the street on which he lives, by taking part in organization of an event, connected with the history of the town or the village or by rendering social services to children without parents or elderly people...."
We believe that social responsibility is based around the concepts of empathy and ethical decision making that can be utilized in a variety of ways by all individuals and groups throughout our daily lives. To demonstrate and practice some of the concepts that we presented around Social Responsibility we asked the class to engage in an activity where they would have to use the "Social Responsibility imagination" to make decisions that parallel real experiences in Portland. Right 2 dream too is being evicted from their long time location on 3rd and West Burnside, and they need to find somewhere to relocate and continue with their community. According to recent city law Mayor Charlie Hales is implementing about ten city sanctioned areas for large campsites where those without homes can sleep. However, these are shared spaces which would not allow R2DToo the autonomous ability to self-regulate which is an important aspect to their community. Also these areas are temporary, which means that R2DToo could be evicted again. Use the Social Responsibility imagination come up with some creative solutions for Right 2 Dream Too, keeping in mind the importance of safety, and access to services for the residents, and permanency. Consider the connections between neighborhood associations, city policy-makers, and the homeless individuals who will be affected in the establishment of a new Right 2 Dream Too. We then told each group that they represented a different aspect of the great Portland community, either City Planning, Neighborhood Associations, or members of the R2DToo community. Asking people to look at the scenario through these lenses challenged the way that they thought about solutions to the problem at hand, and provoked some heated discussions about who has power in the city and what the needs are of each aspect of the larger community. For my section presented the importance of empathy within the context of social and ethical responsibility. - Social Responsibility: An individual becoming responsible in their actions that have an effect on the communities outside of their immediate circle. - Empathy: The ability to understand and share feelings of another. To put social responsibility into action one has to have the ability to empathize. While most people have the capacity to empathize, that does not mean that it will always be inherent in one's everyday life. The great thing about empathy is that it can be taught and learned. A recent psychology study showed that if one mindfully empathizes with an individual then their moral concern and motivation to take action on that individual's behalf increases. According to Roman Krznaric's TED Talk, "How to Start an Empathy Revolution", empathy is something that can easily be integrated into everyday life through a few easy activities. One of the activities is to challenge yourself to have a conversation with a stranger that goes beyond superficial small talk. Krznaric believes that if you can successfully talk to a stranger regarding their personal worldview than it is likely that you will further empathize with them. I found this to be true within my own partnership with the food pantry at The Sunshine Division. While I was not in the place to ask questions regarding clients personal situations, at times people would share information about their life with me. Once I knew a few personal details I found that I could empathize with them on a far deeper level than I could previously. 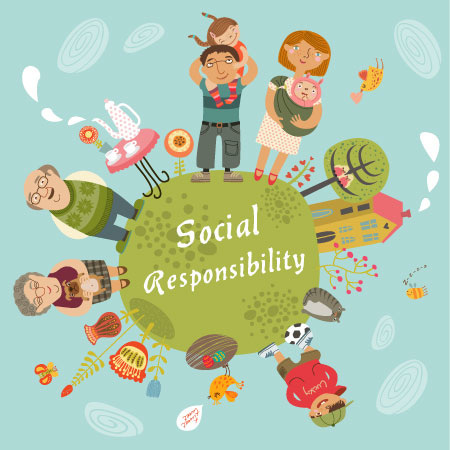 The theory behind social and ethical responsibility applies to both individuals and groups. It should be incorporated into daily actions and decisions that have an effect on both other persons and the environment. As members of a larger society most of our outward actions will have an effect that will impact others in some manner. At times ethical implications may be overlooked in favor of personal gain. Empathy can aid in considering other's points of view when examining how one's own actions may affect others. When making outward decisions that may effect others I urge you to take a step back and really consider who or what it may be affecting. Really put yourself into other's shoes and consider the impacts. Effective change can start with you through social responsibility and empathy. 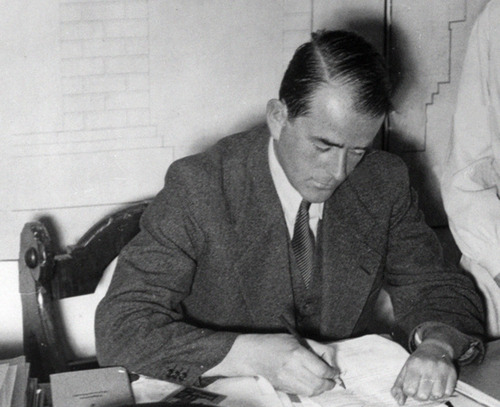 Though a high-profile war crimes trial seems like the last place to look for an example of social responsibility, the case of Albert Speer is both controversial and thought-provoking. Born into an upper-middle class family in Mannheim in 1905, Speer followed in his father's footsteps and became a distinguished architect, eventually catching the attention of Goebbels and Hitler for his clean, modern designs that retained the majesty and powerful image of classical Greek and Roman forms. Appointed as Minister of Armaments by Hitler in 1943 after the death of Fritz Todt, Speer's architectural career was put on hold as he took over administration of German industry and manufacturing - a sector of the economy that made use of slave labor and indentured foreign workers. Put on trial in 1945, Speer set himself apart from his co-defendants with his immediate admission of guilt, deciding that someone must take responsibility for the atrocities in order to set a legal precedent which would help prevent similar crimes from happening in the future. While his sincerity is questioned by historians to this day, his willingness to admit guilt even before he was formally charged and despite the advice of his lawyer points toward a true acceptance of responsibility and associated remorse. During his twenty year prison sentence, he wrote extensively on the topic, existing in monk-like solitude, as if to atone for his sins. Speer's story challenges our perception of good and evil, showing that the two coexist and can be cultivated or suppressed through conscious action. When Speer chose not to investigate rumors about the Final Solution, he made a conscious choice to turn towards evil, but later, at Nuremberg and for the rest of his life beyond that, he chose to search his soul and take responsibility in an attempt to make a positive impact on the future and to soothe his own conscience. Students have the option, and responsibility, to incorporate aspects of social change into their education. This is implemented by schools through courses designed to engage students in the world around them, and through programs on campus that encourage hands-on volunteer opportunities. The opportunity to experience social responsibility in the college setting encourages a continued dedication to this way of thinking throughout life and career choices. 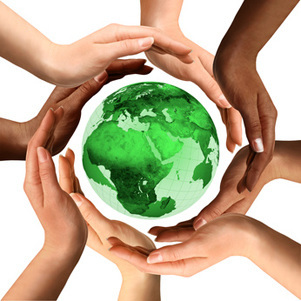 Corporate social responsibility has a wide reaching impact which can be a powerful tool for change, but also can unfortunately also be used to cover up more negative actions by big businesses such as McDonalds or Nestle. Ultimately the good that any corporation can do with their excess revenue is a welcome enhancement in peoples lives -- such as Ronald McDonald charities, or water donations -- but it is the responsibility of the consumer to choose products from companies that consistently act in socially conscious practices. The process of creating companies that act in socially responsible ways also begins with the student who learns the benefits and processes for social change beginning in their academic setting and then goes on to continue those practices in their work.